The members of the SunBird Lapidary Club celebrated a successful 2017-18 year of new and creative opportunities and experiences with an End of Season Party on the patio in March. The year saw record membership and participation in the many free rock, glass and jewelry classes offered. This included the revitalization of the exciting and challenging “lost wax casting” process. The focus is now on the 2018-2019 season which begins in November. Teachers are being lined up from the membership to teach the many lapidary arts, including rock cutting and polishing, silversmithing, fused glass, stained glass, beading, wire-wrapped jewelry, Ming trees and lost wax casting. 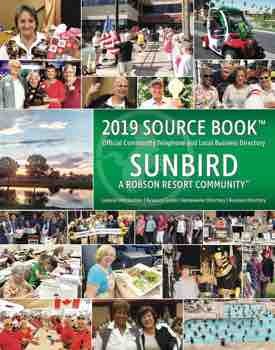 Classes will be offered from November of 2018 through April of 2019 for SunBird residents. For safety reasons, club membership is required to take classes and have access to the Lapidary Shop on the upper floor of the clubhouse. Other than materials for one’s projects (glass or silver) and a small club membership fee of $10, all project classes and use of the HOA maintained shop are free. Those interested in getting started in any of the exciting classes can attend our first meeting on November 2 at 9:30 a.m. in the Hopi Room or any one of the club meetings which are held on the first Friday of each month at 9:30 a.m. in the Hopi Room. Additional information is posted on the Lapidary Shop door and in the library. Interested residents can view the display case next to Lapidary Shop where a variety of projects produced by members are on display. Also, please stop by at our table and visit the Lapidary Shop during Community Day on November 14. At other times, if anyone is working in the shop, be sure to come on in for a tour. You, as well as your family and friends, will be amazed and gratified with what you will be able to create after a few classes. We hope to see you in the fall!